Statistics show that Americans choose to spend their lives in senior homes once they realize that they are aging. However, some older citizens want to stay in their homes and still obtain healthcare services. The recent shift is an attempt to maintain their independence regardless of their advancement in age. These days, aging people have options that fall into two categories: the ones they can receive within their residences and those that they can access outside their homes. Recovery Care: While home care involves getting services for a long time, recovery care offers the equivalent services but temporarily. This kind of care is suitable for individuals who are recovering from an injury or a surgical procedure. Home Care: This type of care deals with the non-medical needs of a senior person. The tasks include eating, exercising, and other things that do not involve physical needs such as cooking and housekeeping. 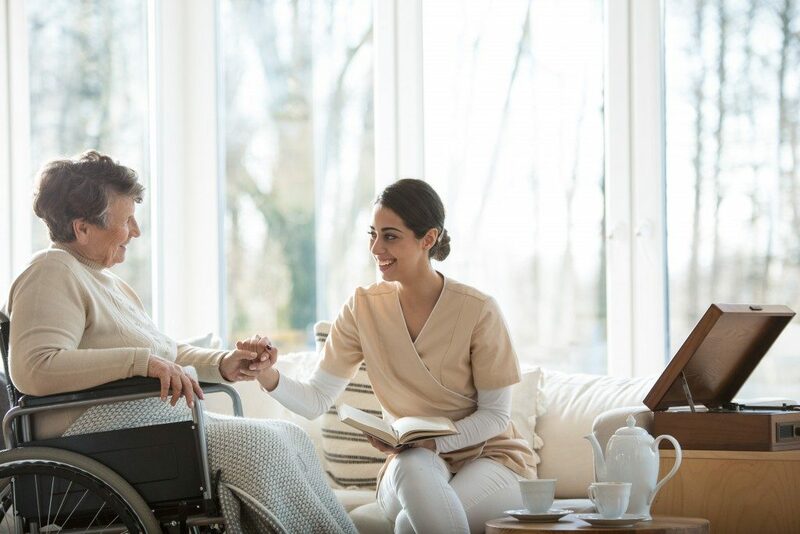 Home Health Care: Also known as skilled nursing care, this type of care involves services that an individual can get in a rehabilitation center or nursing home. The services include the dressing of wounds, medication administration, and other duties that require nursing skills. Palliative and Hospice Care: Palliative care offers services to individuals diagnosed with an “untreatable” disease, while hospice care targets individuals who are living their last days. The two kinds of care combine home health care and home care services. Assisted Living: As the name suggests, this form of living comes with extra help in carrying out daily activities. Some assisted living homes offer medical services to individuals in need. Senior Living: Senior adults live in retirement homes that are either stand-alone home or apartments. The communities are ideal for the elderly, and they can get the services they require. Respite Care: The homes offer care to the elderly temporarily when the caregiver is on holiday or is not available. Concierge Care: When seniors require more help than what workers in the nursing home are willing to provide, they can get personalized care. In such cases, the individuals get concierge care where the caregiver offers extra services in the particular facility they are in. Hospice Care: Hospices are special facilities that offer care and services to individuals who are facing life-limiting illnesses. Hospice care does not focus on getting a cure for the disease but on making the individuals comfortable. In the end, the challenges of aging in a senior community and at home are the same. However, care agencies offer services to help individuals during these hard times regardless of where they choose to spend the last days of their lives. Senior healthcare services assure the family members that their old loved ones are in safe hands. Moreover, the wide range of options for the elderly allows relatives to choose an appropriate plan depending on their preferences or budget. Still, you should also value the desires of your senior loved ones. Talk to them and listen closely to what they have to say.